Welcome to Time Out Singapore's 52 Weeks of #ExcitingSG – our commitment to showing you the best of what's going on in the city this week. Every Monday, a guest writer who's "in" with the scene shares a recommendation on what to see, eat, do or buy in the city. This week, TOSG's Acting Editor, Nicole-Marie Ng, starts the ball rolling. Tearing up as Eva Peron belts out Don't Cry For Me Argentina during Evita which officially opens this week at the Mastercard Theatre. This is the first time the iconic Tim Rice and Andre Lloyd Webber musical is showing in Singapore and it features so many songs I love but have never seen acted out on stage. 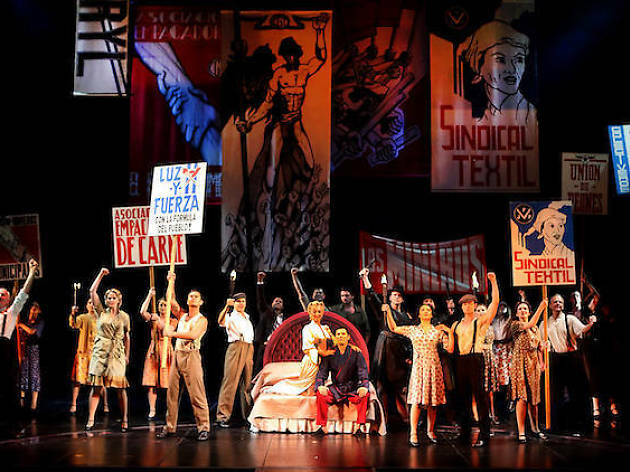 I'm a huge fan of musical theatre and it's exciting to see so many renown Broadway productions make their way to our shores. Pangdemonium's The Father also premieres this week on March 2 – although I booked tickets for next weekend just to space things out a little. I've caught every single Pangdemonium production over the past three years and have not been disappointed by a single one. I bawled during Falling, a play on autism it put on in 2016, and I'm sure The Father, which tackles dementia and family relationships will be just as emotional. The quality of acting, direction and even set design by Pangdemonium raises the standards of what Singapore theatre should be and I'm looking forward to seeing it bring to life more original works by talented local playwrights like Alfian Sa'at and Joel Tan. 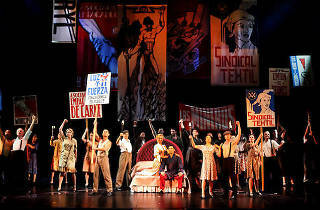 Evita runs until Mar 18 at Marina Bay Sands Mastercard Theatre; The Father runs until Mar 18 at Victoria Theatre. Read more about our 52 Weeks of #ExcitingSG challenge, and let us know what you're seeing/loving on Instagram via the hashtag #ExcitingSG – you might just stand a chance to win tickets to one of these productions.